How do we know we are delivering the right results? 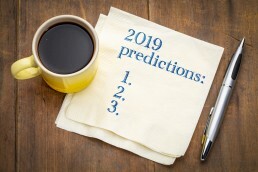 Because we quantify success with the tangible, commercially driven metrics, using bespoke approaches that tell you precisely what you need to know, as well as measuring marketing ROI. We frequently work with clients to help them achieve challenging business goals that are measurable on their bottom lines: From lead generation and customer acquisition to development kit sales and design wins. Unlike many other agencies, we are measured and rewarded based upon our ability to deliver these tangible outcomes. Marketing analytics and metrics can be overwhelming, so let us support you. Whether it’s achieving coverage to raise awareness, or running a promotion that delivers leads or design wins, we provide you with the coverage and evaluation services that are tailored to your requirements and that clearly demonstrate the return on your investment. We also offer a comprehensive coverage evaluation service. Too often, specialist technical and trade media outlets are missed by the large press cuttings agencies and therefore some of your hard-won editorial could be missed. We have our own in-house experts who scrutinise hundreds of outlets to provide timely clippings from the printed and online technical and trade press, as well as bloggers, forums and communities. 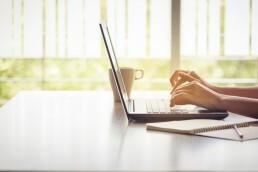 Digital marketing techniques mean it is now easy to generate a large volume of marketing data, from click through rates to website analytics. To make this information valuable, companies need insight. Our measurement teams specialize in cutting through the confusion of pages of numbers and producing insights that you can use to understand your marketing performance and enhance your next campaign. We take your marketing data and distil it into meaningful insights. Whether it’s configuring Google Analytics to let you quickly identify the true impact of your website or processing your contact database, we strip away unnecessary complexity to generate clear performance analysis and insights. Our extensive experience means we can also help you benchmark your performance against companies in the same industry, ensuring your marketing outperforms your competitors. Powerful data analysis tools combined with industry-specific insight. A focus on delivering actionable insights, not just data. Payment-by-results approach that ensures we are measured on your KPIs. 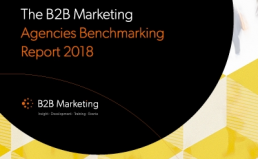 Napier Feature in this year’s B2B Marketing Agencies Benchmarking Report!